UPDATE: Information added to original draft, since MSR now has copies of the actual court documents. The drama surrounding the fraud charges leveled early last year against former Wi-Fi provider firm SignalShare seems to be reaching a conclusion, with court documents showing that NFS Leasing has been awarded $8 million in damages from SignalShare, and $5.7 million in damages from an ex-SignalShare exec. 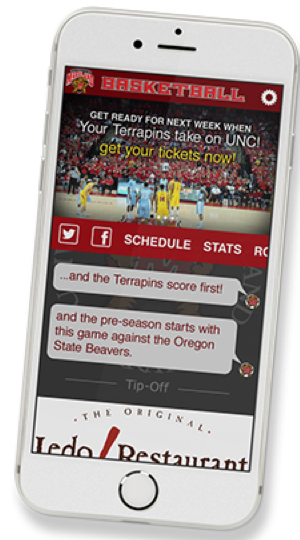 To quickly recall the case, SignalShare, a company involved in bringing Wi-Fi networks and associated fan-experience apps to stadiums, was sued by NFS, an equipment leasing company, over a dispute involving allegedly fraudulent leases by SignalShare, and SignalShare’s default on an agreement to pay back money obtained through those leases. Originally NFS sought $7.8 million in damages. According court documents that are also quoted in a Law 360 report, a judge in Massachussetts federal court granted summary judgement in NFS’ favor Wednesday, with an $8 million judgement against Signal Point Holdings Corp., a SignalShare subsidiary, and a $5.7 million judgement against former SignalShare exec Christopher Barnes. According to court documents, the judge also voided an attempt by SignalShare to move assets between other companies owned by the same owners as SignalShare. To recap the original story — SignalShare had originally partnered with Wi-Fi gear vendor Extreme Networks on deployments for the Jacksonville Jaguars, the University of Maryland and the Detroit Red Wings, all apparently legitimate deals. 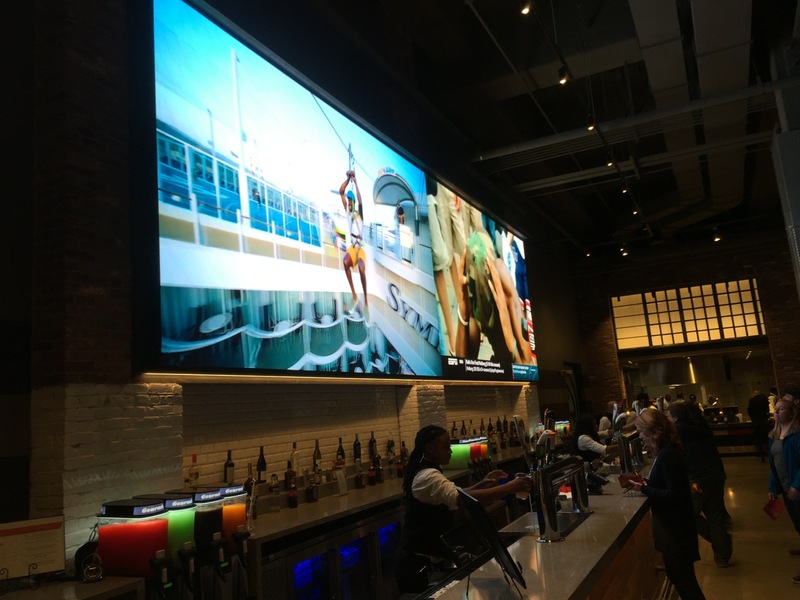 SignalShare later touted its Live-Fi nGage suite, a system that was meant to combine content, analytics and advertising links to give venue owners and operators a turnkey method to improve fan engagement and perhaps increase revenue opportunities for large-venue Wi-Fi networks. 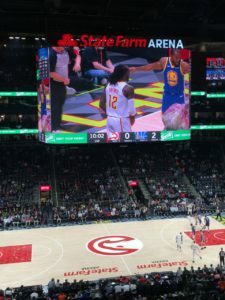 “[SignalShare] would represent to NFS that it had entered into an agreement with a sports arena or team and would induce NFS to provide funding for the acquisition of the allegedly-needed equipment,” the complaint said. SignalShare would provide fake or forged invoices for the equipment it allegedly ordered, or provide fictitious serial numbers for items allegedly purchased and installed in the fraudulent contracts, the complaint said. Between May 20, 2014 and May 21, 2015, SignalShare conned NFS into advancing funds on 10 fraudulent lease transactions to the tune of $4.9 million, the complaint said. The case had several twists and turns along the way, including the charging and then exoneration of former SignalShare chief technical officer Joe Costanzo, who was one of the SignalShare execs personally named in the first lawsuit. Costanzo, who ran the technical operations of SignalShare, claimed he was misled by his own company and had filed counter-claims against NFS. This past August court documents said that NFS Leasing had dismissed all of its claims against Costanzo “without costs to either party.” Costanzo, who had filed a counter-claim against NFS, also dismissed his action. 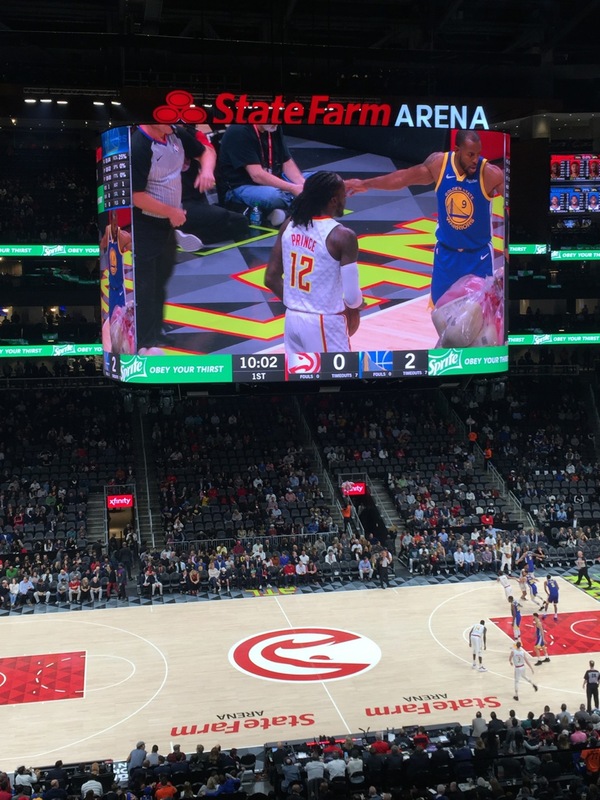 In the summer of 2016, NFS had announced an auction of SignalShare assets, including such entities as the network lease for providing Wi-Fi to the Golden State Warriors. However, that planned auction was cancelled when SignalShare filed for bankruptcy. Along the way, executives from Extreme Networks have continually refused to comment on any details of their partnership with SignalShare. 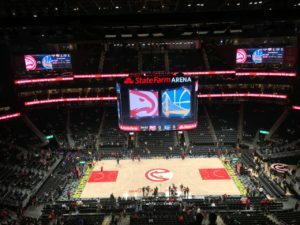 After a year in which the team almost saw its stadium networking lease put up for public auction, the Golden State Warriors seem to have rebounded on the wireless-access front, with an updated network that should hold the Wi-Fi fort until the team moves into its new arena in San Francisco. 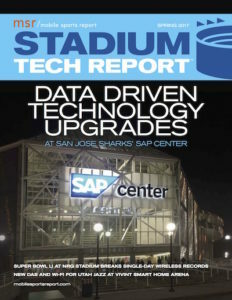 Though the team has repeatedly refused to provide any in-depth details on the state of Wi-Fi at Oakland’s Oracle Arena — save to say “there is an Extreme network in the building” — a recent visit by Mobile Sports Report found the fan-facing Wi-Fi network to be more than adequate, with top speeds in locations close to a visible Wi-Fi AP, and acceptable performance even in the upper-deck seating areas. 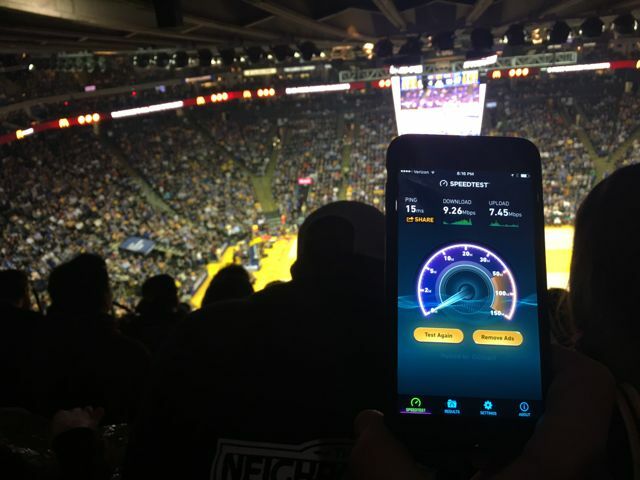 Though we’ve heard scattered reports from friends and fans over the past two years about poor connectivity at Oracle, the current setup should keep fans from a no-signal problem until the team’s new home, Chase Center, is ready for the 2019-20 NBA season. 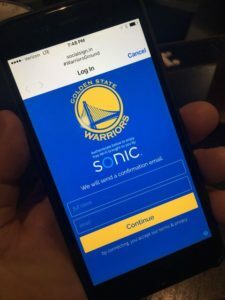 For those of you who need catching up on the story, the Warriors were one of the early and very visible clients of SignalShare, a company that provided “leased” Wi-Fi networks with a business plan centered mainly around trying to recoup investment via advertising and other marketing plans that used a web and app portal strategy to capture fan eyeballs. 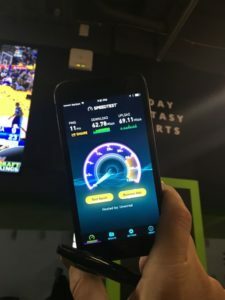 Early last year the company that provided financing for the Wi-Fi network gear used by SignalShare filed a lawsuit claiming $7.8 million in damages, including alleged fraudulent deals cooked up by SignalShare. The legal proceedings eventually led to creditors attempting to stage an auction of SignalShare’s non-fraudulent leases, including the lease to run the Wi-Fi network at Oracle Arena, before a bankruptcy filing put a halt to the planned auction. 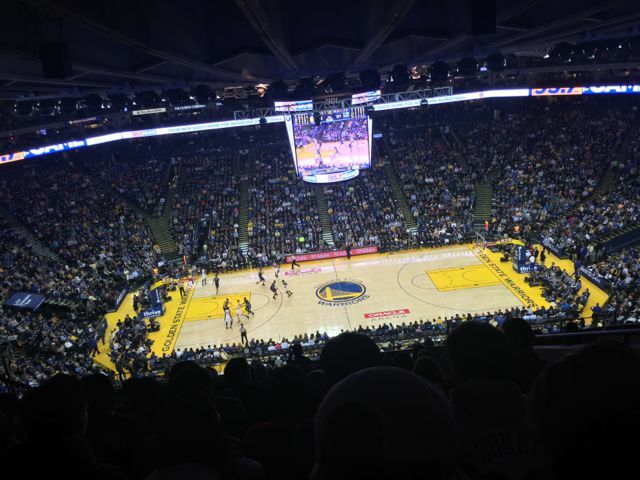 While SignalShare’s operations remain in limbo, the question for the Warriors was, who would provide Wi-Fi at Oracle for the current NBA season? 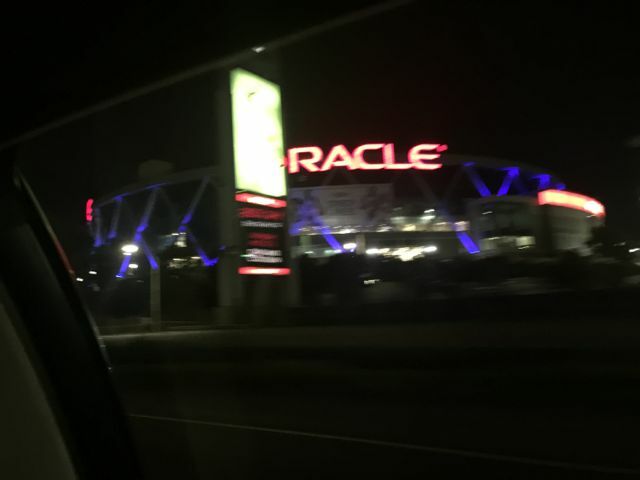 Perhaps predictably, nobody involved in the sticky situation — including the Warriors’ IT staff, or anyone from Extreme Networks, the gear provider in the SignalShare deal — would comment publicly on the state of the lease, or what was to be done with the Wi-Fi at Oracle. Eventually, the Warriors’ PR department did send an email saying there was an “Extreme network” in place for the current season, but would not comment on performance, or about who was footing the bill for any upgrades or for continued operation. 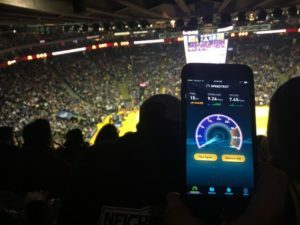 A request to visit the stadium for an official look at the network was ignored by the Warriors’ PR team, so MSR decided to buy our own tickets to see what the fan Wi-Fi experience was like. What we found was, it’s pretty good, as long as you don’t mind seeing antennas and APs everywhere you look. 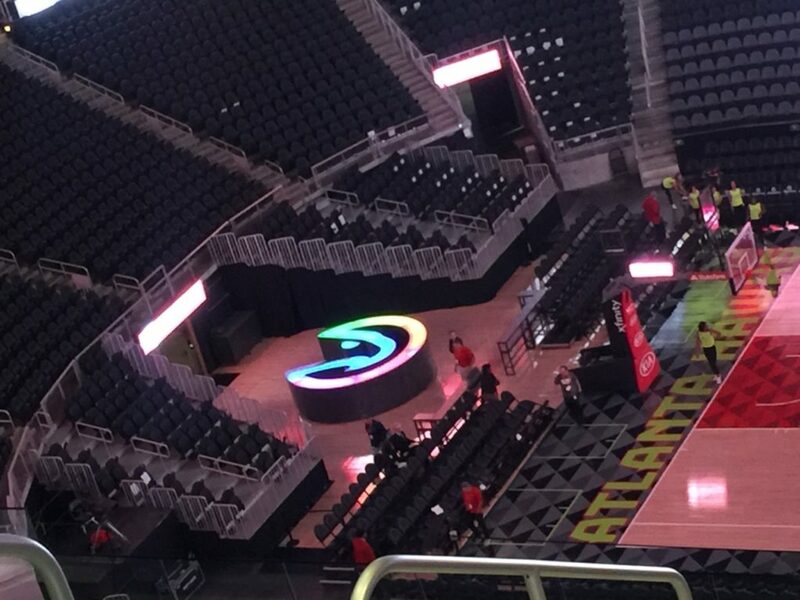 From our standpoint, it’s always impressive when teams embrace aesthetics and put in network elements that are architecturally hidden; but by that same token, in an old joint like Oracle, fans could probably care less about looks and are probably happy that there’s connectivity. 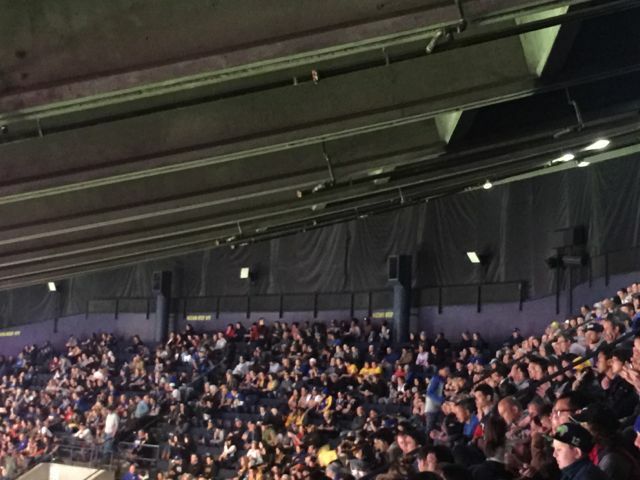 Especially when the building’s not going to be used for Warriors games two seasons from now. 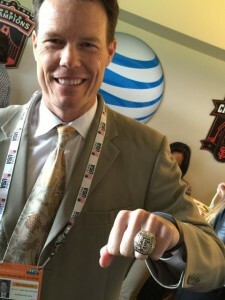 With a good friend of MSR’s now living in Oakland, we got the full locals Warriors experience, starting with some pre-game libations in fun, funky downtown establishments before getting on BART for a quick trip to the Coliseum station. Getting off there we marched across the long bridge (where you can buy bootleg cans of beer and grilled sausages) to the O.Co Coliseum, then walked around the football/baseball venue on the outside to get to the Oracle Arena entrance. 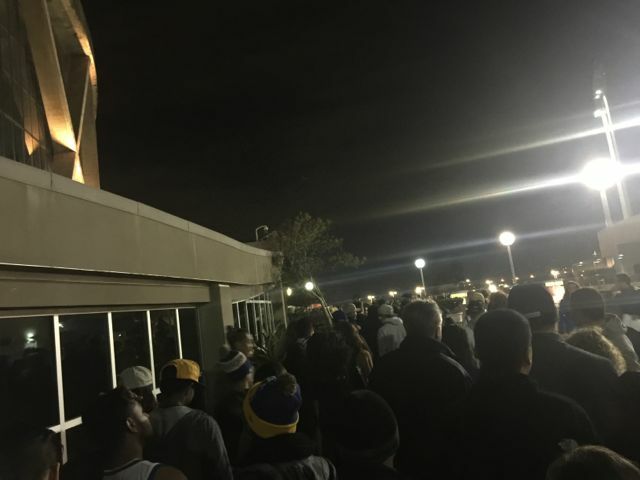 In a long but quick-moving line outside the doors to Oracle, we didn’t detect any Wi-Fi service. But once inside we quickly found the #WarriorsGround SSID and connected, after being greeted by a splash screen that told us that the free Wi-Fi service was being provided by local ISP Sonic. We were asked for an email address to get logged in, and noted that the email marketing program was through SocialSign.in; previously, this was the kind of fan-facing portal service that SignalShare would provide. Stopping in one of the concourse bar areas before heading up to our MSR-budget seats, we got a strong signal on our first test — 62.78 Mbps on the download side, and 69.11 Mbps on the upload — which we were guessing came from the Extreme AP we could see mounted on the wall just next to one of the bar’s TV sets. 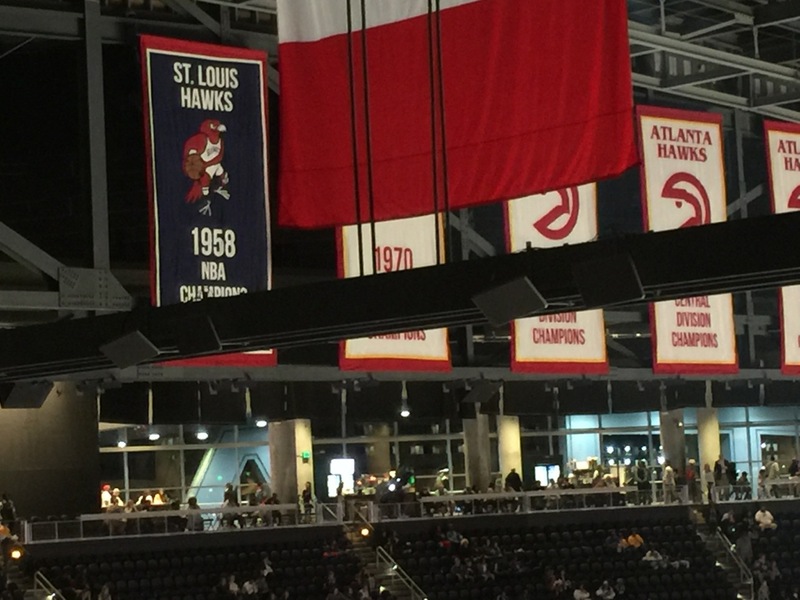 Walking around the concourse and up to our upper-deck seats, we still got good readings, one at 46.09/25.67 and another at 37.69/21.64, all near visbile APs that looked like they had recently been attached to false-ceiling tiles (some were noticeably hanging at crooked angles). 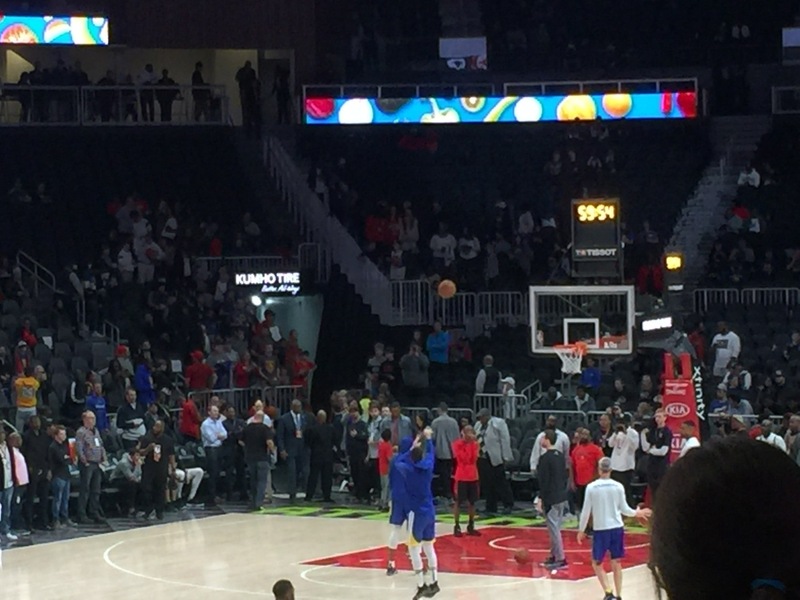 In our seats — which were located in the middle of the side of the court, about halfway up the section — the Wi-Fi signal dropped off a bit, but we still got a couple solid marks including one in the 9.26/7.45 range. While that’s not considered “screaming fast” or state of the art, it’s more than enough bandwidth to get basic connectivity things done; we had no problem accessing email or other connected apps. 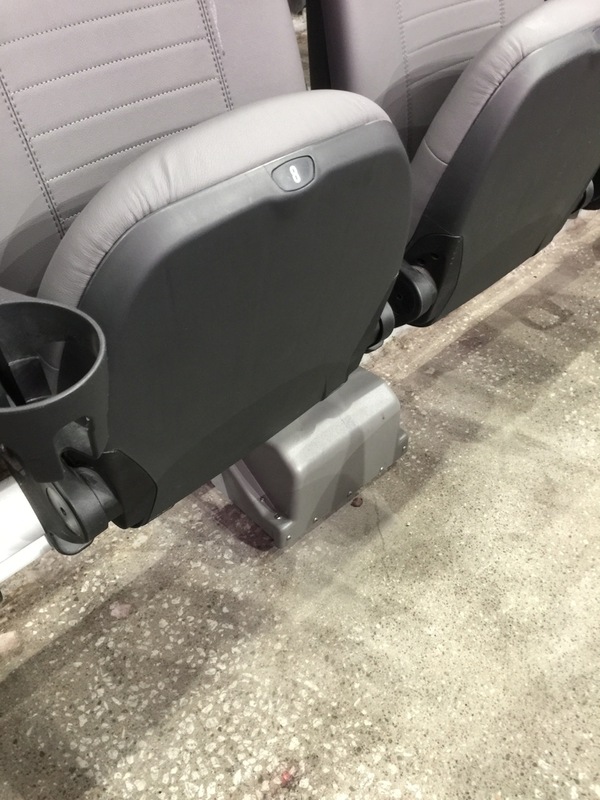 Looking behind us on the stadium walls, we could see what looked like Wi-Fi APs mounted behind the seating areas, pointing back down into the upper-deck sections. 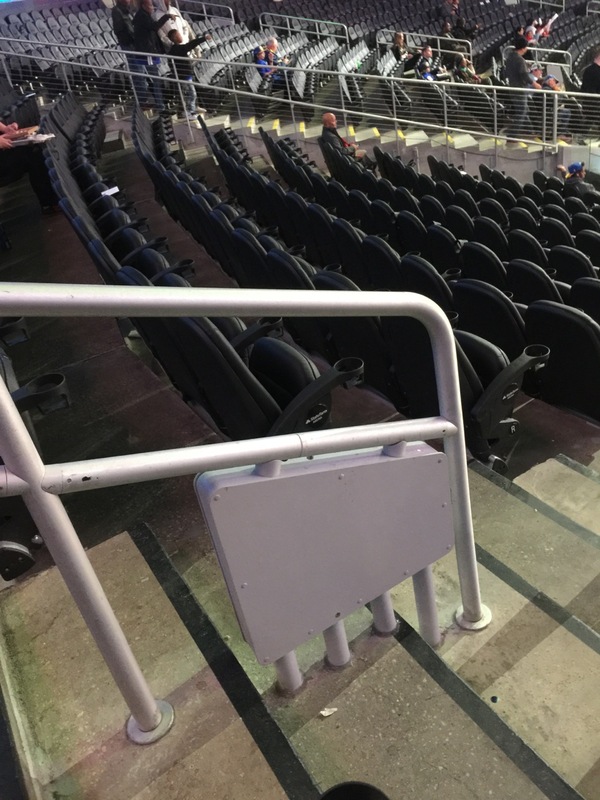 We didn’t see any under-seat or handrail-enclosure AP placements, again probably a predictable thing since it’s unlikely the Warriors would pay for more-expensive infrastructure like that for a building they’ll be leaving soon. With the eventual win over the visiting Charlotte Hornets well in hand (the Warriors were ahead 108-83 at the end of the third quarter) we left our seats to grab a hot dog back at the bar, where we got a final reading of 63.90 Mbps down and 71.91 Mbps up. With an early fourth-quarter exit we were able to beat the rush to the convenient Uber pickup area (cleverly located about midway through the walk back to BART, giving you that impulse motivation to spend a few bucks to get out faster) where the cell signal was more than strong enough to complete the app-based reservation. 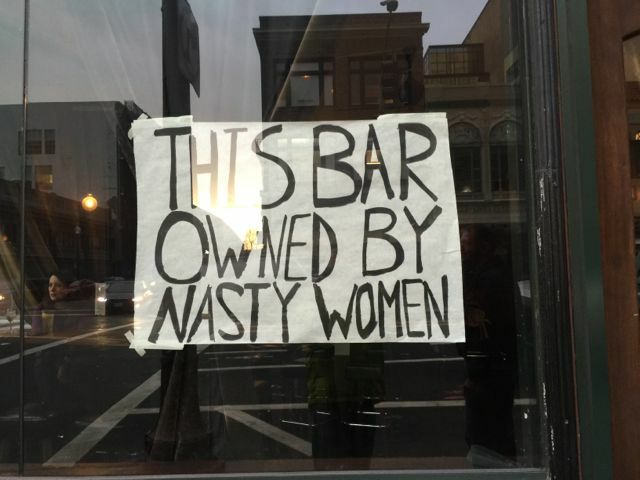 All kinds of fun places in downtown Oakland. Nasty! No Wi-Fi out here but the lines moved quickly, and it was easy to scan digital tickets. 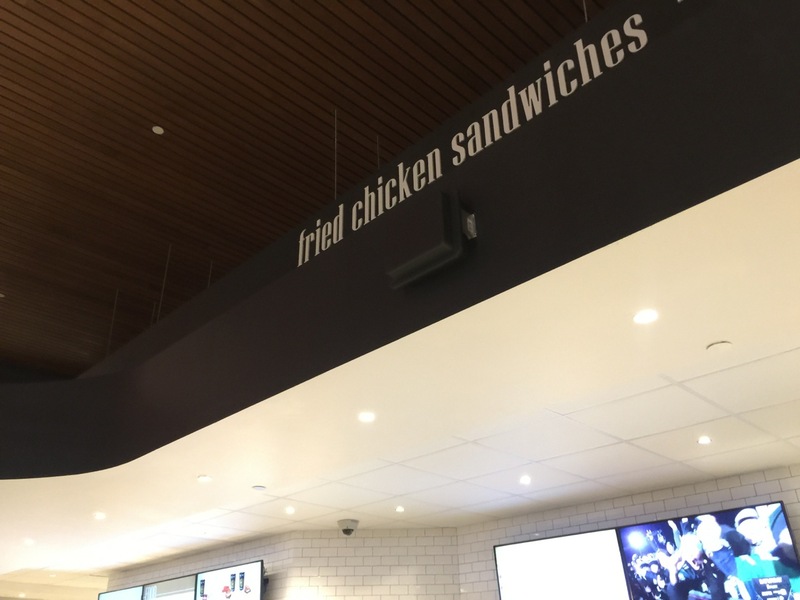 Close-up of that AP in the concourse bar. 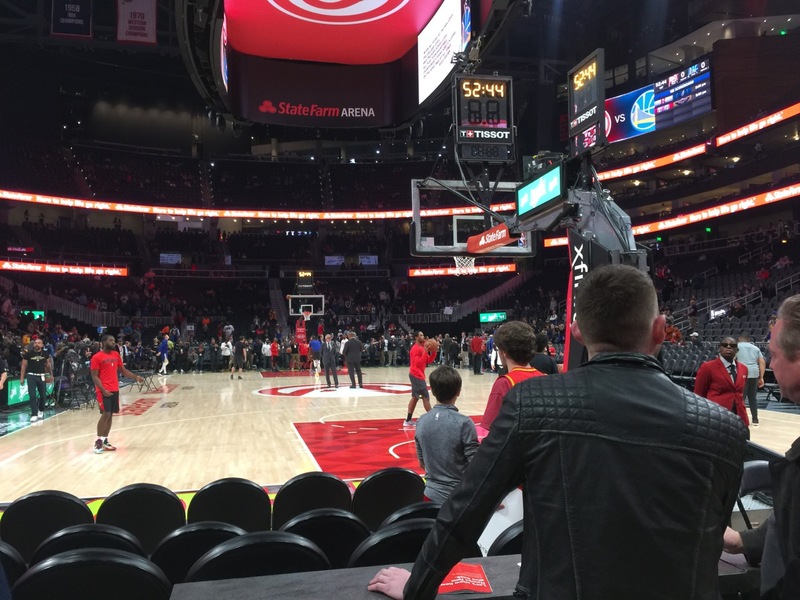 View from our seats — even though the games are all “sellouts” we had no problem buying these the day of the game from the Warriors’ website. $58 each, not bad, right? Wi-Fi APs in white line the back wall of the upper deck. There were some blackened units too but the white ones were more numerous. 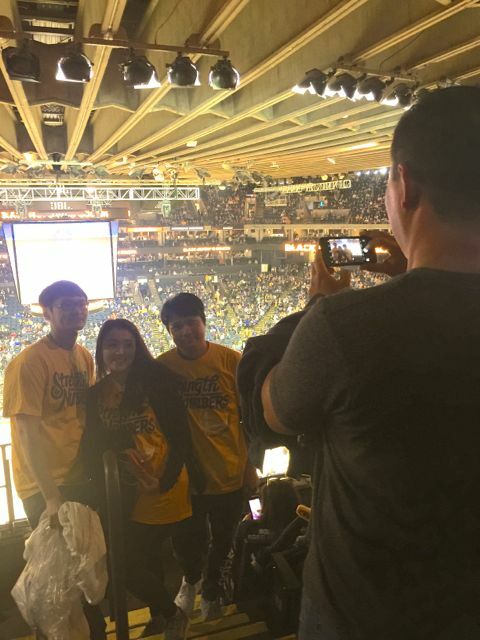 It’s always picture time at Oracle during a break in the action. Close-up of one of the concourse APs. In Uber on the way back to Oakland. See you next time! 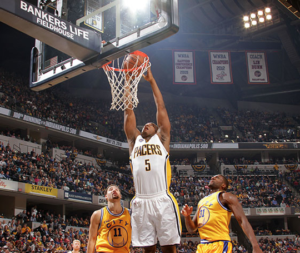 The Indiana Pacers have signed a 3-year deal with Ruckus Wireless and Wi-Fi analytics and deployment firm Purple to put a new Wi-Fi network into Bankers Life Fieldhouse, the home of both the NBA’s Pacers and the WNBA’s Indiana Fever. The new network, which the firms said would use 437 Ruckus Wi-Fi APs, will replace a Wi-Fi network installed at Bankers Life Fieldhouse by SignalShare, a Wi-Fi deployment firm that recently went bankrupt in the middle of legal issues that alleged fraudulent practices. 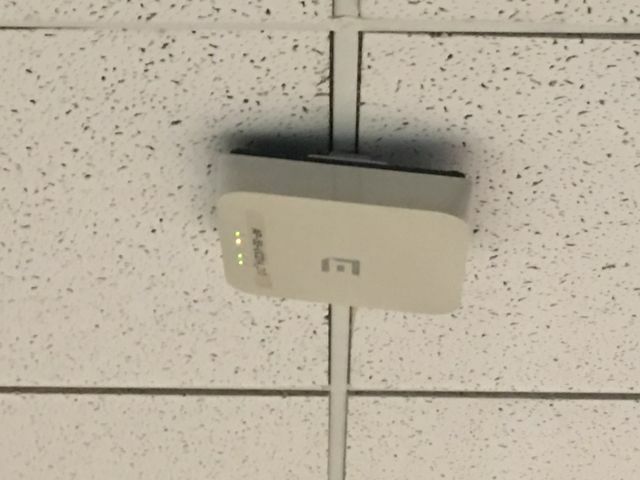 According to Ruckus, the new network should be live by early December; stay tuned for a more thorough profile of the new deployment. So far, all of the teams that we’ve contacted who were caught up in the SignalShare snafu (under which some of the network leases were being offered for auction before the SignalShare bankruptcy put a halt to things) seem to be coming out of the mess OK. The Jacksonville Jaguars have a new manager for their Wi-Fi network, and the Pacers will have a new Ruckus-gear network. 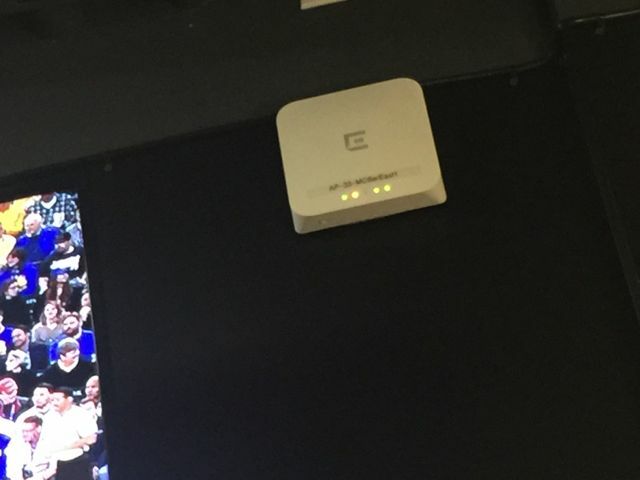 It’s still a little unclear as to what is happening at the Golden State Warriors’ Oracle Arena, but press representatives there said the building will have an Extreme Networks Wi-Fi deployment up and running for this season; previously, SignalShare had run the network using Extreme gear so our best guess is that Extreme somehow took over the SignalShare lease. Neither the Warriors nor Extreme would comment on any SignalShare matters. In Indianapolis, the press release said that Purple, previously known as Purple WiFi (a “cloud-based marketing and analytics WiFi software company,” according to the firm), will be providing analytics from the Wi-Fi network to the Pacers. 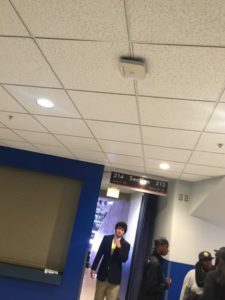 Terms of the deal were not diclosed, so it is unknown if Purple is paying for the Wi-Fi gear and making money off analytics and advertising sales; again, stay tuned for more details when we speak to the Pacers IT team in more detail.